This January — high summer at the South Pole — a University of Washington glaciologist helped lead a project that surpassed its goal to drill the first deep ice core at the planet’s southernmost tip, providing material to help solve a climate puzzle. Eric Steig, a UW professor of Earth and space sciences, returned to Seattle this month after being chief scientist for the final stretch of the National Science Foundation-funded effort at the Antarctic station. “We had a very, very successful field season,” Steig wrote as the team finished up on Jan. 22. 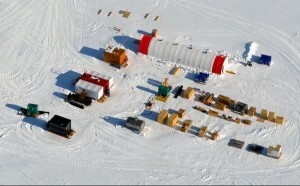 Researchers with the South Pole Ice Core project had planned to drill 1,500 meters (0.9 miles) down to reveal 40,000 years of climate history at this unique location, which is on the East Antarctic Ice Sheet but gets buffeted with snow from the stormier West Antarctic Ice Sheet. The team exceeded its goal, piercing more than 1,750 meters (1.1 miles) into the ice to extract a core that extends back about 50,000 years. Climate clues preserved in the ice could help explain why the South Pole has stayed at roughly the same temperature in recent decades, while surrounding areas have warmed. The millennial-scale record could also help to better understand how differences between the climate of the cold, dry plateau of East Antarctica and the more mountainous, snowier West Antarctica play out over long timescales. Drilling the core was a challenge. 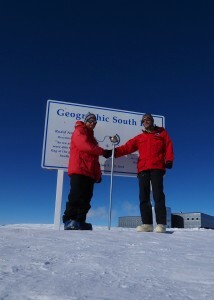 It’s cold at the South Pole, even by polar science standards. While the science team worked in relatively mild conditions between about -25 C and -35 C, they handled ice wet with drilling fluid that was about -50 C.
The first drilling season last year was led by UW postdoctoral researcher T.J. Fudge and Murat Aydin at the University of California, Irvine, who was also chief scientist for part of this year. This year’s lead driller was Jay Johnson of the University of Wisconsin, Madison’s Ice Drilling Design and Operations group. Emma Kahle, a UW doctoral student in Earth and space sciences, arrived at the station just before Thanksgiving. It was her first experience doing polar field work, and involved more than two months living on the ice and helping with the round-the-clock drilling effort. Three-foot-long sections of ice have now being airlifted from the South Pole and are on a ship back to the U.S., from where they will be freezer-trucked to the National Ice Core Laboratory in Colorado and then divided up and analyzed. Steig and Kahle will use the composition of oxygen atoms within the water molecules in each layer of ice to determine how temperature changed at the South Pole as Earth came out of its most recent ice age, about 20,000 years ago. Fudge will work with Steig and UW glaciologist Ed Waddington using electrical methods to find traces of volcanic ash that help pin down the age of each layer, to precisely match this ice core with other records from around the globe. 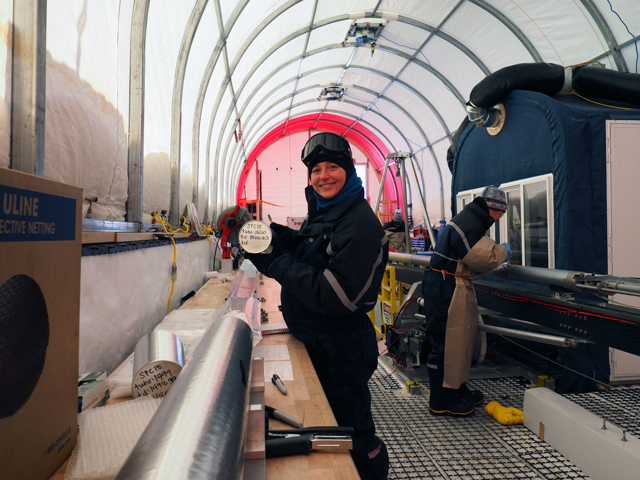 UW scientists Howard Conway and Michelle Koutnik also visited the field station this season and are doing related work examining the flow of ice toward, and away from, the ice core site. Scientists at participating institutions will soon begin other research projects that include tracking methane and carbon monoxide levels over time, analyzing particles in the ice layers, and using the unusually cold temperature of this core to find chemical traces of prehistoric plant growth trapped in gas bubbles that would have broken down in other, warmer ice samples. 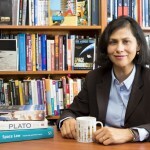 Lead research institutions on the project were the University of California, Irvine; the University of Washington; and the University of New Hampshire. 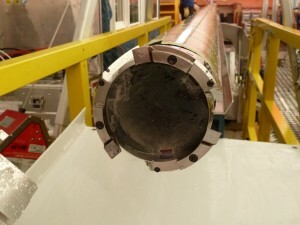 The drilling effort was led by the U.S. Ice Drilling Program Office, which is managed by UNH, the University of Wisconsin and Dartmouth College. Support and funding for the project was provided by the NSF. 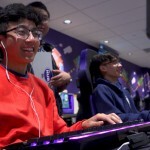 For more information, contact Steig at steig@uw.edu or Aydin at maydin@uci.edu. Kahle is on travel and will be back in Seattle in mid-March. See here for more photos. For more on UW polar research, see the UW Future of Ice page.